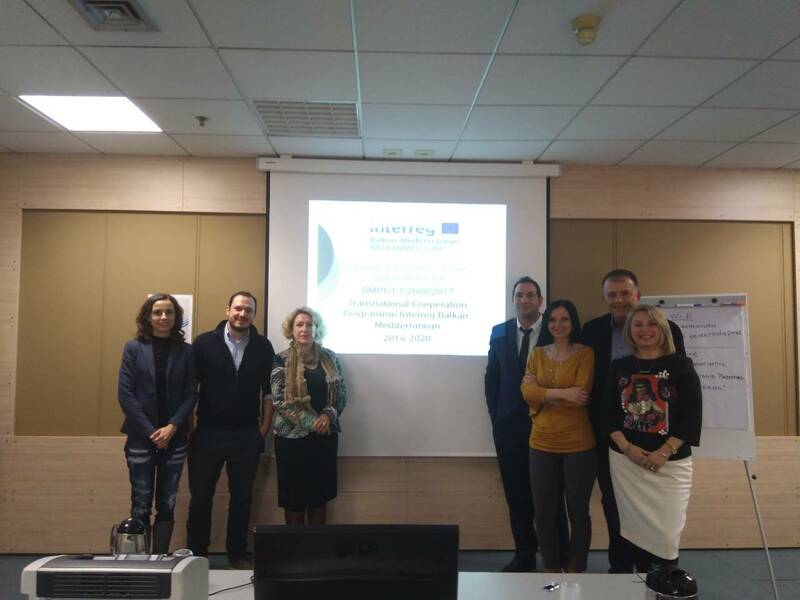 The second Partner and Steering Committee Meetings under the BalkanMed e-Business Pages project were held in Athens, Greece on 8-9th Feb 2018. Hosted by Project Partner 2, the Hellenic Management Association, the meetings brought together representatives of the 5 partner countries: Bulgaria, Greece, Cyprus, The former Yugoslav Republic of Macedonia and Albania. The attendants reviewed the progress made by the partnership during reporting period 1 and agreed on the project work plan for the first 6-monthly period of 2018. The main focus of the discussions was the development of the BalkanMed e-Business Platform and the requirements towards the information to be collected from the target group representatives. The other important topics addressed during the meetings were the content of the analytical tools which will be elaborated under the project and the planned communication and dissemination activities to promote the project, its outputs and the opportunities that open up with the transnational cooperation. During the meetings the Lead Partner representatives indicated that the contract for the bmbpages platform has already been concluded and the joint partnership and contractor efforts are now directed towards creation of a website which will be attractive and useful to the business and providing opportunities for collaboration within the eligible area.